Rapidly evolving trends among digital financial services are driving fintech developers to create much more personalized customer experiences within their applications. By harnessing the power of consumer transaction data, these industry innovators can enhance customer engagement and drive more targeted cross-sell and upsell revenue opportunities. Analyzing consumers’ financial data is quickly becoming the future of online banking and those in the fintech community that can leverage this information quickly and effectively will have the edge and be able to deliver the personalized services necessary to attract and retain the next generation of banking customers. 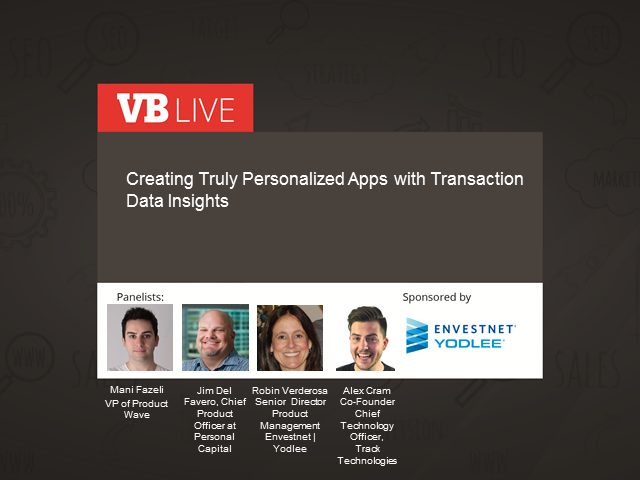 Join us on August 24 to hear from a panel of industry experts as we discuss the evolution of consumer transaction data analytics and how to leverage it to create a more contextualized and personalized user experience.